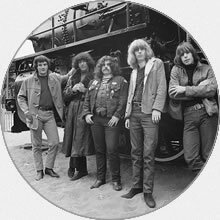 The Grateful Dead Archive Online (GDAO) is a socially constructed collection comprised of over 45,000 digitized items drawn from the UCSC Library's extensive Grateful Dead Archive (GDA) and from digital content submitted by the community and global network of Grateful Dead fans. 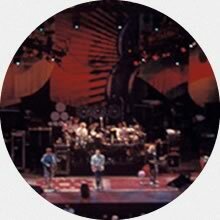 Digitized content -including concert hotline recordings, decorated fan envelopes, fanzines, photographs, posters, radio interviews, tickets, T-shirts, and videos, - can be found here, as well as web resources such as David Dodd's "The Annotated Grateful Dead Lyrics" website and the fan recordings of concerts archived by the Internet Archive. These materials reflect the range of materials collected, managed, preserved and made available by the University Library's Special Collections and Archives department to support teaching, learning and research. With the GDAO website, UCSC has a unique opportunity to engage a devoted community and provide this network of fans with social media tools to tag, comment, upload and share their digital files, memories, and knowledge and contribute to the construction of this educational resource. The Grateful Dead Archive (GDA) represents one of the most significant popular culture collections of the 20th Century and documents the band's activity and influence in contemporary music from 1965 to 1995. The collection contains works by some of the most famous photographers and artists of the era including Herb Greene, Stanley Mouse, Wes Wilson and Susana Millman. Finding aids, guides and policies assisting with in-person research use of the GDA and related collections including business correspondence, show files and oral histories in their entirety can be found on the Special Collections Grateful Dead Gateway Page. Information about changing exhibits in the Dead Central gallery space at the UCSC Library is also available on the Gateway Page. 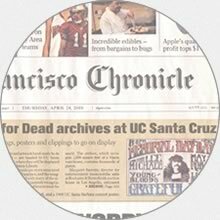 On April 24, 2008 band members Bob Weir and Mickey Hart announced at the San Francisco Fillmore press conference that the group was donating its archives to the University of California at Santa Cruz (UCSC) Library Special Collections. There was a great deal of excitement about making the archives available as a research collection and as a resource on the Internet where the band's thirty-year history could be interpreted through educational use of archives and artifacts. While University Chancellor, George Blumenthal, displayed a tie-dyed T-shirt created to commemorate the occasion, Bob Weir explained that the remaining members of the band agreed that making their collection available to the community was the right thing to do. "We looked around, and UC Santa Cruz seems the best possible home," Bob Weir noted. "If you ever wrote the Grateful Dead a letter, you'll probably find it there!" At the press conference, Mickey Hart called the decorated fan envelopes in the collection "masterpieces" showing what he called the "love" between the band and the fans. Hart has collaborated with the late UCSC Professor Fredric Lieberman on three books including Planet Drum. Dr. Lieberman taught the course "Music of the Grateful Dead" where students discovered how the band re-envisioned and updated many of America's musical traditions, from bluegrass to jazz. During the press conference, Hart called Eileen Law to the stage. Law, originally hired to serve as a liaison to fans, became the band's original archivist. For over thirty-four years she saved everything. "It started off in my little closet" at the Dead's headquarters in San Rafael, "and it kept growing and growing, and now it fills up a warehouse." In 2009, UCSC received an Institute for Museum and Library Services (IMLS) grant to digitize and build the GDAO socially constructed collection online. Based on the unique relationship between the band and their fans - and the tape sharing traditions - it was a natural progression to seek to build a socially constructed collection. The core of the website collection are items selected and digitized from the original 600 linear feet donated to the UCSC Library by Grateful Dead Productions, Inc. (GDP), and this will be enhanced and supplemented by user submitted created content. The GDAO website is powered by the open-source web-publishing platform Omeka supporting the display of collections and exhibits, social media tools and the uploading of user contributions as well as the community development of plugins to enhance the software. Brewster Kahle generously supported our work to integrate into GDAO the fan tapes preserved and made accessible by the Internet Archive. The UCSC Library has worked closely with the California Digital Library staff to implement a variety of tools supporting the website including EZID (persistent identifiers), WAS (Web Archiving Service) and the Merritt repository (digital preservation). The UCSC Library engaged the Santa Cruz company Cosmic: Big Ideas to design the look and feel of GDAO. 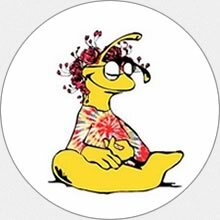 Items from Grateful Dead Archive (GDA) have been added to GDAO by the University of California Santa Cruz (UCSC) Library only when we have received permission, we have determined a work to be in the public domain, or we believe the way we have posted the item to be fair use as part of a non-commercial, educational site. The items represent the individual and collective creativity of the band, artists, photographers and fans. Highly valuing the creative works in the collection donated by the GDP, we have labored diligently to identify, locate and contact rights holders informing them of our intentions to support scholarship and our desires to license their works non-exclusively for nonprofit educational, scholarly or private uses. This process will be ongoing. The results of this diligent search for potential rights holders are incorporated in the metadata accompanying each work displayed. The Copyright Information and/or Copyright Statements displayed, including public domain status, are based on a diligent, good faith, and reasonable research and analysis of each work. Despite significant and reasonable efforts, in some cases it has proved impossible to identify and make contact with rights holders. In some cases, we are surfacing the works on GDAO amongst the community to facilitate contact with rights holders who remain undiscoverable. If you have additional or conflicting information about an item you see in GDAO, including information about the copyright holder, please contact us at grateful@ucsc.edu and let us know. Additionally, when users submit content as part of the socially constructed website, we require that our members only upload files they own the rights to, have permission to add, or honestly believe to be fair use. See GDAO Policies and GDAO Contribution for more information.